Assistant coach of Nigeria’s Golden Eaglets Jolomi Atume says his side will treat Wednesday’s game against Angola at the U17 Africa Cup of Nations (U17AFCON) in Dar es Salam like a Cup final. Nigeria and Angola have three points apiece after winning their opening Group A games on Sunday against hosts Tanzania and Uganda respectively. While the two-time champions Nigeria edged a nine-goal thriller against Tanzania 5-4, Angola produced a strong defensive showing to beat Uganda 1-0. 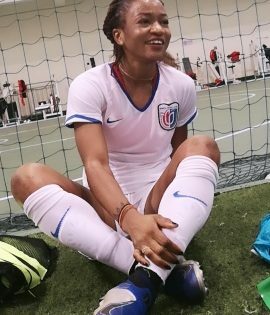 A win for any of the two sides will all but guarantee them a place in the semi-final of the competition and consequently a berth at the FIFA Under-17 World Championship later in the year. 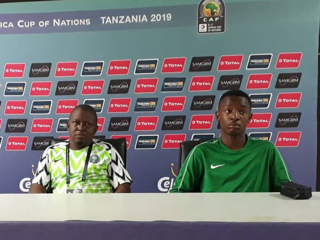 “The game against Angola is like a Cup final for us because we know that winning this game will take us to Brazil, for the World Cup,” said Atume at the game’s pre-match press conference at the Tanzania Main National Stadium on Tuesday. “We know the Angolan team are a very good side, good defensively and look solid in attack but by the grace of God, the three points will be ours. We know that our defence made several mistakes in the opening game against Tanzania which saw us concede four goals, but we are working on them to improve,” he added. Two –goal hero against Tanzania, Wisdom Ubani and Man-of-the-Match Akinkunmi Ayobami Amoo will be the cynosure of all eyes in the Eaglets’ attacking line on Wednesday. Also, Ibraheem Jabaar, who slammed in the winning goal against the hosts minutes after coming on as a substitute, will also hope to feature while ABS FC starlet Olakunle Olusegun will be hoping to score his first goals of the competition. 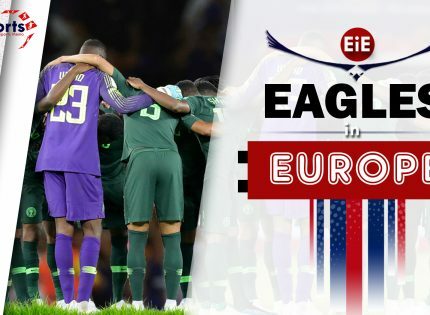 After observing Tuesday as rest day, Nigeria’s Golden Eaglets, led by head coach Manu Garba and Angola will open the second round of matches in the tournament under the afternoon sunshine on Wednesday. Both teams will square up at 2pm local time (12:00pm in Nigeria) before hosts Tanzania face Uganda in an East African derby at 5pm local time (3pm in Nigeria). Egyptian referee Ahmed El-Ghandour will be at the centre of proceedings for the Nigeria/Angola game and will be assisted by compatriot Yousef Wahid Elbosaty and Kenyan woman Mary Njoroge.